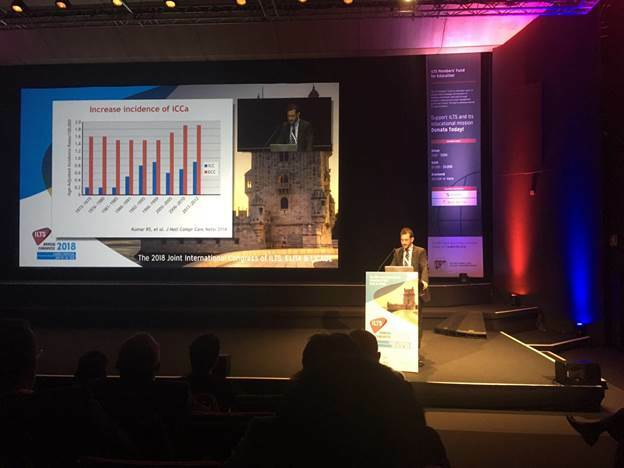 Dr. Gonzalo Sapisochin was just one of several Toronto participants at the ILTS meeting in Lisbon last weekend. His presentation to the international congress was on Intrahepatic Cholangiocarcinoma. Other participants included Fellowship Director, Markus Selzner, as well as alumnus Nicolas Goldaracena, and Research Fellow Andre Gorgen, both recipients of 2018 ILTS Travel Awards.